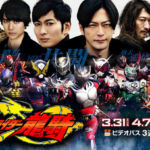 Rider Time Ryuki: Kamen Rider Abyss Returns?! For those that might be unfamiliar with Kamen Rider Abyss; Abyss wasn’t part of the main series, but rather he was present in an alternate reality Tsukasa traveled too during Kamen Rider Decade’s run. It is currently unknown what role he’ll play in the special itself, in the meantime be sure to check out the trailer by clicking the link here. Rider Time Shinobi: Meet Kamen Rider Hattari! Earlier at the beginning of the year, we reported that Toei will be releasing a series of Kamen Rider Zi-O spinoffs, and one of them would feature the Ninja-themed Rider of 2022: Kamen RIder Shinobi. Since the initial announcement, a slew of new photographs along with a trailer for the special were both released . The images reveal a secondary Kamen Rider from the timeline addition to some supporting characters and villains. Although not much has been translated as of this writing, we do know that the orange fellow is called Kamen Rider Hattari and he’ll serve as a rival for Shinobi. The YouTube trailer for this is, unfortunately, region locked but you can bypass this by viewing it on the official Zi-O Twitter account, make the jump here. 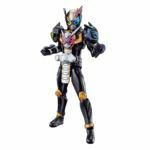 Bandai Japan has offered fans a quick image of the next Kamen Rider Zi-O entry in the SH Figuarts action figure series! The time has come for Zi-O’s upgrade form, Kamen Rider Zi-O II to receive a proper figure. The basic suit details are shown in Figuart style, with a cryptic NEXT message on the Zikan Driver. 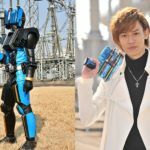 Sadly, no price or release details have been confirmed for Zi-O II at time of writing. Stay tuned to TokuNation for further SH Figuarts news! Yet another veteran Kamen Rider actor has returned for the celebration that is Kamen Rider Zi-O! 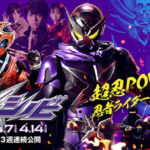 Kimito Totani will once again reprise the iconic role of Daiki Kaito, Kamen Rider DiEnd! In addition, DiEnd appears to be using a new version of his signature weapon & henshin device, the DiEnd Driver. It seems likely that DiEnd’s power of summoning Kamen Riders to fight now extends to AnotherRiders. Feel free to join in our Ongoing Zi-O Discussion Thread to share your thoughts & fears about this exciting series! 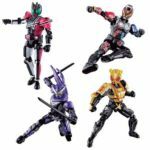 SH Figuarts Oma Zi-O Release Details Confirmed! After much speculation, Bandai Japan has officially announced the SH Figuarts release for the sinister King Of Time, Oma Zi-O! The Golden King will be released in September 2019! The price is a modest 6480 Yen before shipping and fees. Definitely another worthy entry into this fan-favorite action figure series! Stay tuned to Tokunation for all SH Figuarts Kamen Rider reveals. Teased for release as recently as January, S.H. 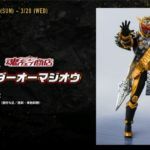 Figuarts Oma Zi-O seems to finally be headed for release! As a part of Tamashii Nations new Gold Crush sales and promotions, it seems an official announcement of Oma Zi-O is also planned. 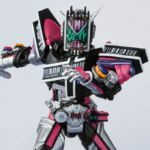 While the full set of images isn’t circulating yet, @Tokullector has shared a selection official images for Oma Zi-O. An impressive figure for sure, we know thanks to handling SHF Zi-O himself earlier last month, that this should be a solid release. This means in the next 24 hours we should have confirmation of the release date and price as well. Check back here for that update! Just a Passing Through Kamen Rider Remember It! A brand new S.H.Figuarts Kamen Rider Zi-O release was just recently revealed thanks to some data mining from Twitter user Tokullector. As the name suggests: it is the Heir of All Riders acquiring the power of the Destroyer of Worlds himself: S.H.Figuarts Kamen Rider Zi-O Decade Armor! At the moment, no price or release date was given. Given that Tokullector most likely data mined the photos, we can only assume that this will be a P-Bandai release though nothing has been confirmed as of this writing. What we can confirm that this will include the HeiSaber and Jikan Grade in sword mode as part of his accessory count. Do stay tuned, and we’ll be sure to bring you more info as it’s made available. The Pre-order is now live! S.H.Figuarts Kamen Rider Zi-O Decade Armor will retail for 7020 yen and will release in August. As you might recall, Bandai teased us with the prospects of a SO-DO Kamen Rider Shinobi in the last Zi-O Watcher update. Since that last update some weeks ago, a fresh batch for the latest wave of SO-DO: SO-DO Ride Plus is here. SO-DO Ride Plus does indeed come with the aforementioned Kamen Rider Shinobi, along with the two other Future Riders: Kamen Rider Kikai and Kamen Rider Quiz. To fill out this box, we have the Destroyer of worlds himself: Kamen Rider Decade! A separate accessory box will include some new goodies: like the Neo DecaDriver for starters in addition to the older belt, the Violent Emotion head, a hand holding a Kamen Rider Build form change card, along with two weapons: The Ride Booker in both sword and gun mode, and G4’s Gigan Missle Launcher. SO-DO Ride-Plus will be released in June 2019 at 5,400 yen for a complete box. Just a few days ago, some new exciting scans for Kamen Rider Zi-O were released. In those scans, we saw a new powerup form for show’s secondary Rider: Kamen Rider Geiz called Geiz Revive. 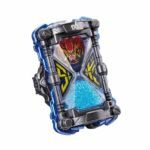 Since those scans came out, official images for the DX Geiz Revive Ride Watch were just released. You can look forward to adding the DX Geiz Revive Ride Watch to your collection in March 2019.